As fans know, superstar Manny Pacquiao, last seen dropping a controversial 12-round decision to big underdog Jeff Horn, is set to return to action soon: on the April 14 card topped by (or sharing co-headline with) Horn against Terence Crawford; Manny going up against a still-game but generally faded Mike Alvarado. Then, according to promoter Bob Arum, who spoke with RingTV.com, the 39 year old all-time great will take a big, big fight in the fall, either against Crawford (should “Bud” do as most expect will be the case and take Horn’s WBO welterweight belt) or against pound-for-pound king (in the opinion of most) Vasyl Lomachenko. Fans may wonder why, then, Arum wants Pacquiao to face a young lion like a Crawford or a Lomachenko. Pacquiao has lost his speed and KO ability, at least to a degree, so has he really got much of a chance against the Crawfords and the Lomachenkos of the sport these days? Arum says it will be up to Manny, as far as which big-fight foe he tackles after he’s returned to winning ways at the expense of “Mile High” Alvarado (and it of course goes without saying how, if Pacquiao loses to Alvarado then it really will be game over for the former multi-weight king). 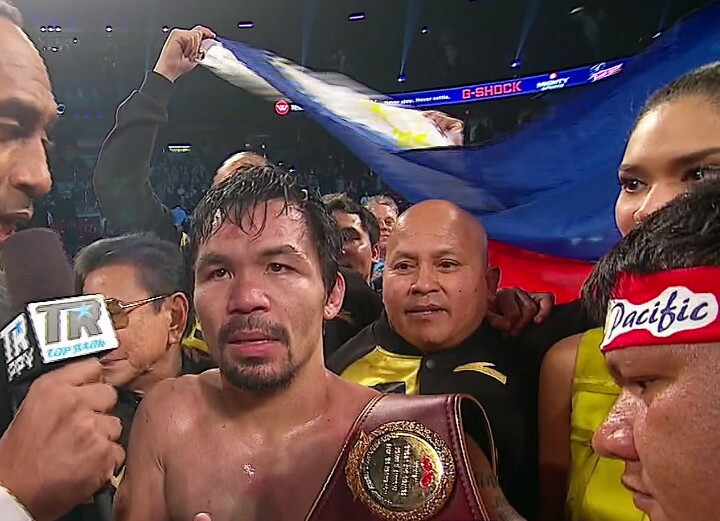 Lomachenko, or at least members of his team, have expressed no real desire to face Pacquiao, saying how there is nothing to be gained from the fight, so that perhaps makes Crawford the more likely option for Pac-Man in the fall (but again, as Arum suggests, money talks). But has Pacquiao got any real shot when it comes to beating either highly ranked, and much younger, star?